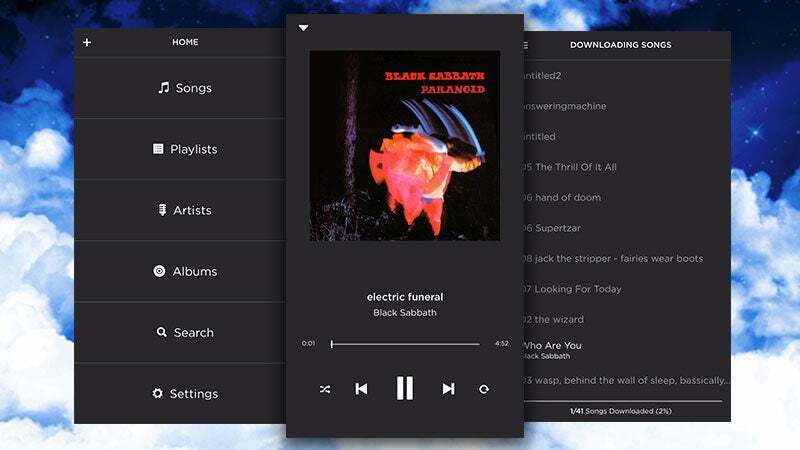 iPhone: We've seen plenty music apps for iOSthat pull music from your Dropbox account, but Jukebox sets itself apart by offering an offline mode alongside a free price tag. When you open up Jukebox, you're shown a list of all your music stored in Dropbox. Pick which songs you want to download, and you'll have access to them offline in the app. For whatever reason, you can't just stream tracks directly from Dropbox, but if you're just looking for a way around using iTunes to get some MP3s onto your device, Jukebox does the job. I just tried this out, and was disappointed that it couldn't play an mp3 file I had. Also, it currently only supports wav's and mp3's. No flac, alac, or other formats yet. Hopefully they fix this app soon.